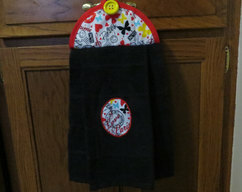 This cute decorative towel is solid red, standard size, and double. 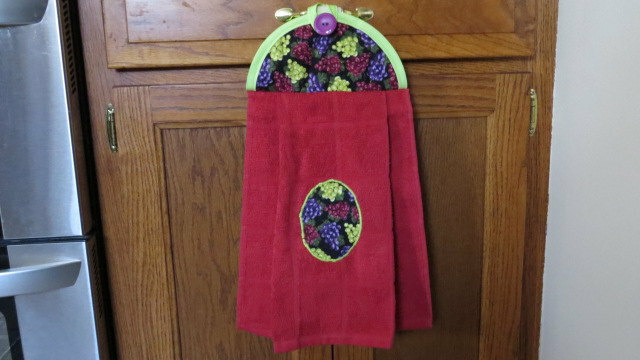 I appliqued a oval matching piece of cotton material that is black with yummy assorted colored grapes on it to the towel. The top is quilted using all natural batting. 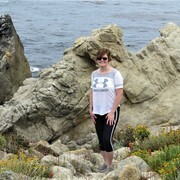 The material to make the top is 100 % cotton. The outside material is the same as the oval piece. The inside material is solid black. 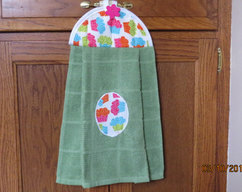 I used light green binding around the outer edge that forms a loop that goes around a purple button. 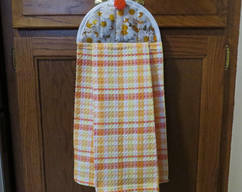 I off set the back of the towel when sewing it, so that it ends up being a little short than the front so when it is hanging the back is not longer than the front. Made in my smoke free home.